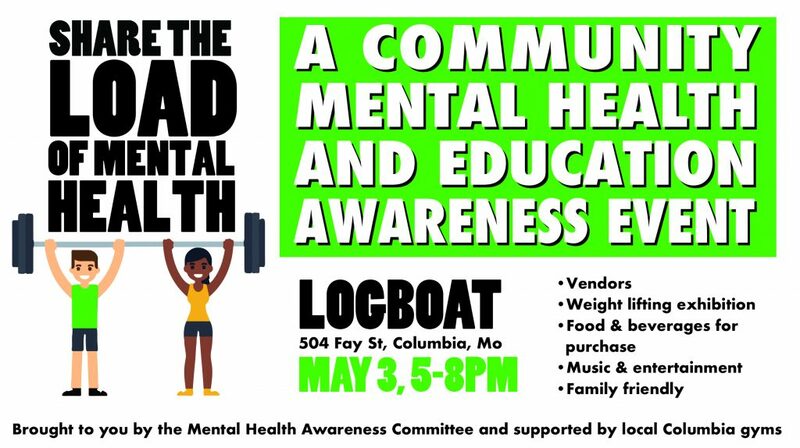 The Mental Health Committee is proud to announce the Share the Load of Mental Health event on Friday, May 3 from 5pm to 8pm at Logboat Brewery. We will have vendors providing education and awareness on mental health issues, a weight lifting exhibition, music & entertainment, and activities for children and families, all in a friendly social setting. The Mental Health Awareness Committee is partnering with local gyms to promote a weightlifting exhibition that aligns with the “Share the Load” theme. The exhibition will begin at 5pm and end at 6pm. Interested in participating in the weightlifting exhibition? Email COMOMentalHealthAwareness@gmail.com for more details. 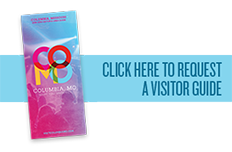 Columbia and surrounding areas have excellent resources for persons who experience mental health problems. Unfortunately, although we are well into the 21st century, mental health stigma continues to prevent people from talking about problems and reaching out to resources in central Missouri who can help. Also, many people in our community are unsure about how to contact mental health resources and how treatment works. The Mental Health Awareness Committee wants to start this discussion and get people in touch with the resources in our committee. Come by the event, have a great time and get educated on mental health resources. See you there!